Installation Day is always a monumental time for us and our clients. It’s when vision and planning collide in the most beautiful way. 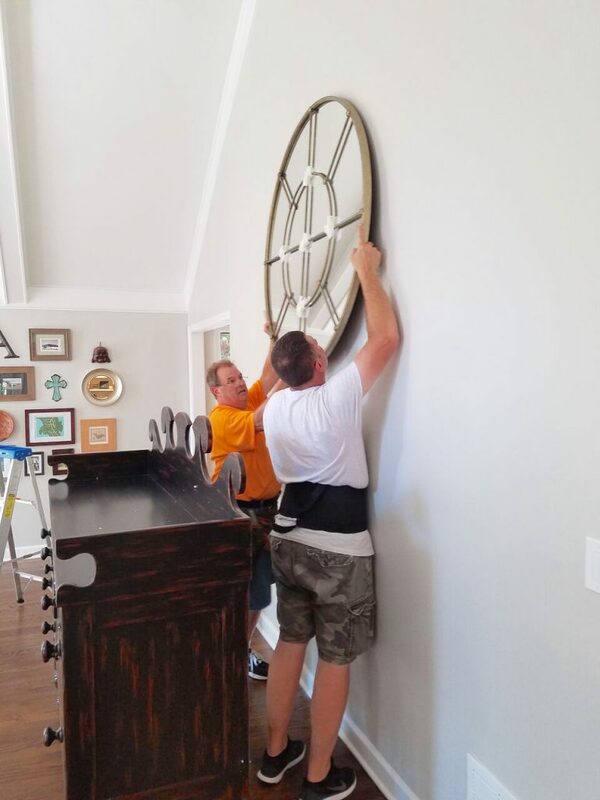 From our very first time meeting with a new client discussing their project, to installation day, there is so much that happens to well, make it happen! 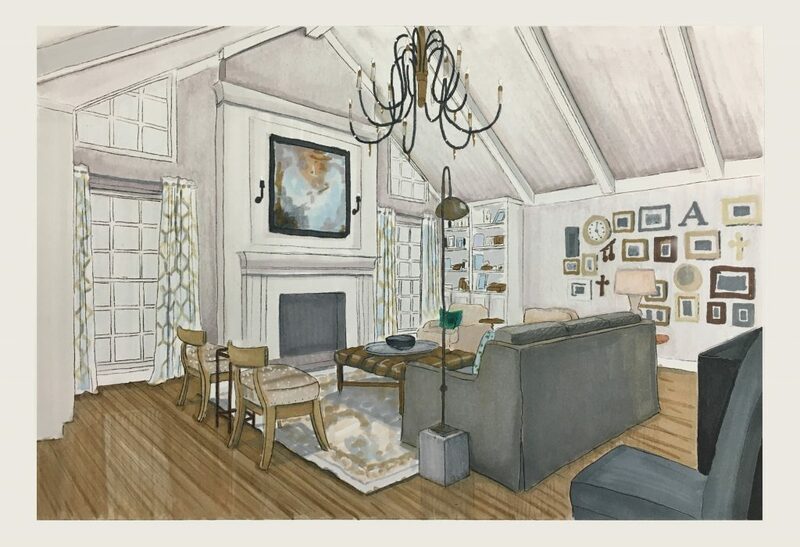 Right away we start to create a design plan complete with fabrics, furnishings, and accessories in order to present our clients with renderings of their future interiors. 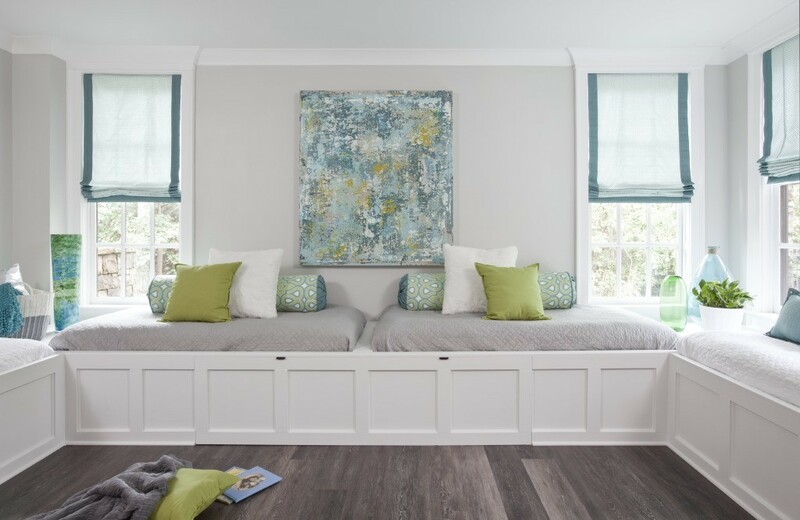 Then comes the logistics of ordering, shipping, receiving, storage, and time allotment for custom upholstery and other finishes. To sum it up, it’s like putting together a puzzle and making sure all of the pieces fit within a certain time frame. Once this is complete we are ready for installation day! 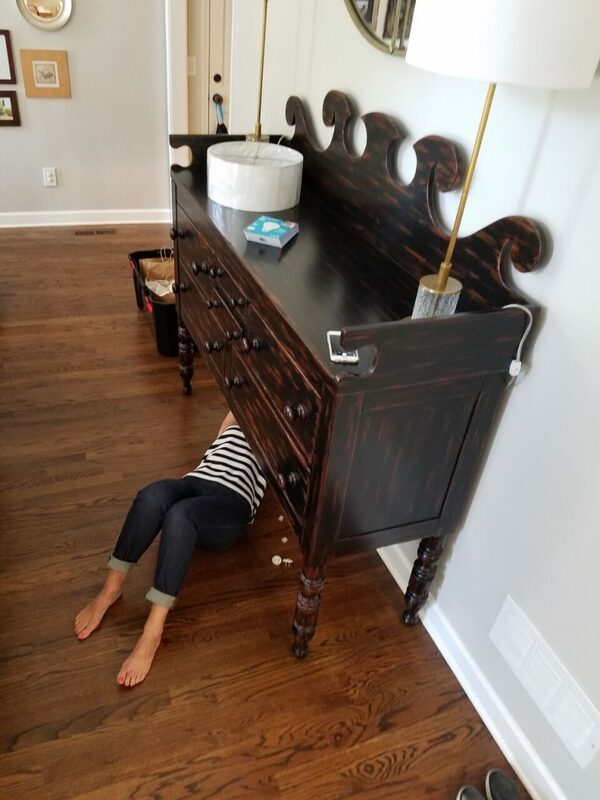 And you never know where you’ll find me during installation day – like here, under a table, double checking that all of the lamp cords are hidden! Here’s one of our latest projects. We snapped a few pictures from start to finish. 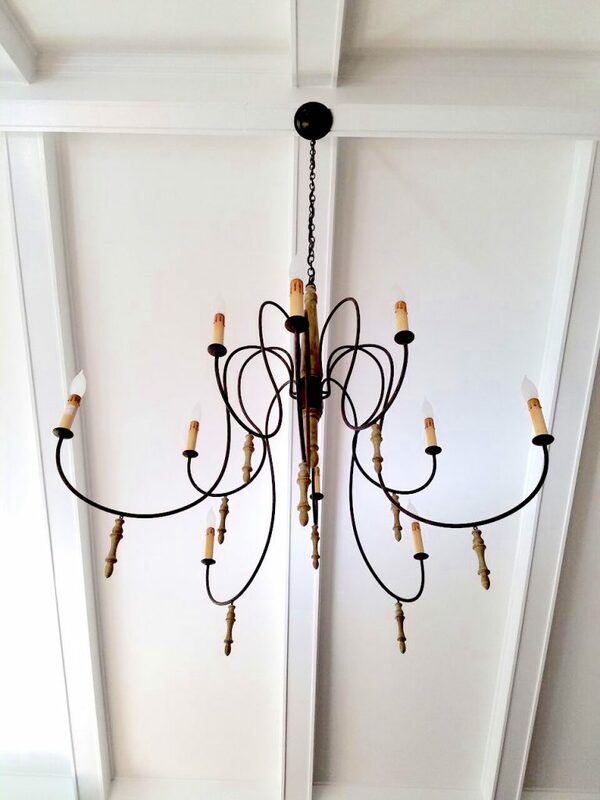 We installed the chandelier, hung the window coverings, laid down the rug, and started bringing in the new furniture pieces. This is when it all starts to come together! Once all of the furniture is placed we start adding the last layer, accessories. 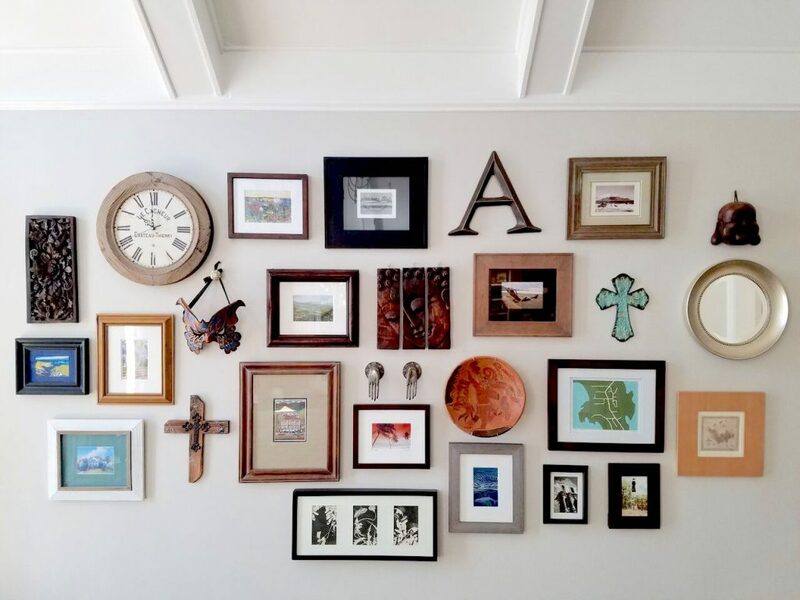 This is one of the most important elements to any room. 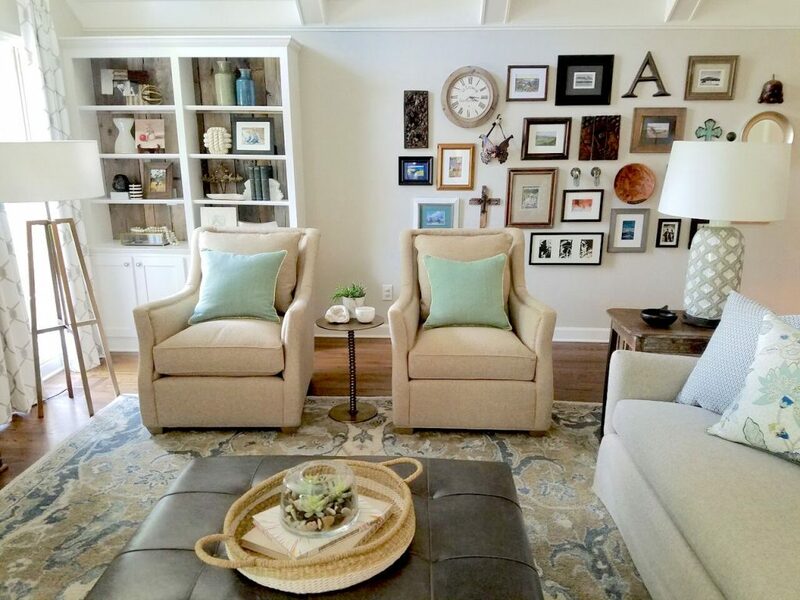 Here, we absolutely loved the gallery wall that our client hung. 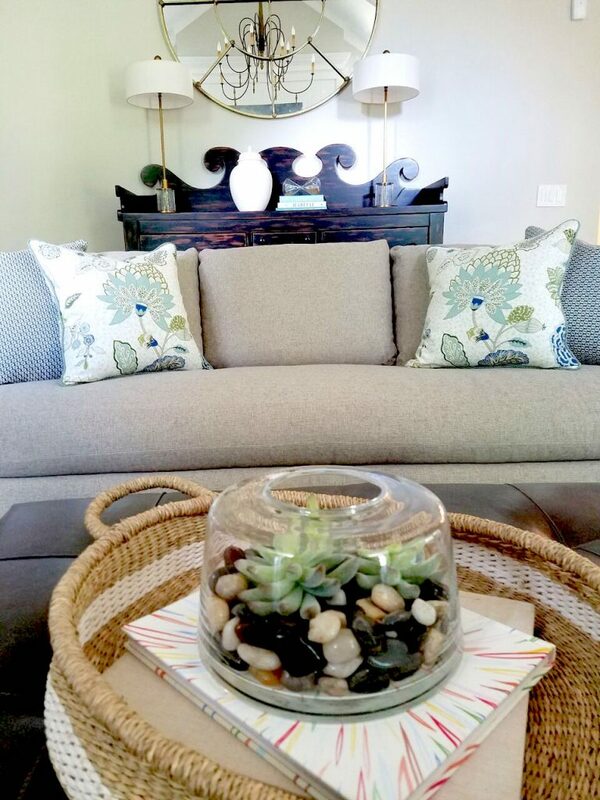 They did a spectacular job and we definitely wanted to keep this personal element as a part of the room. 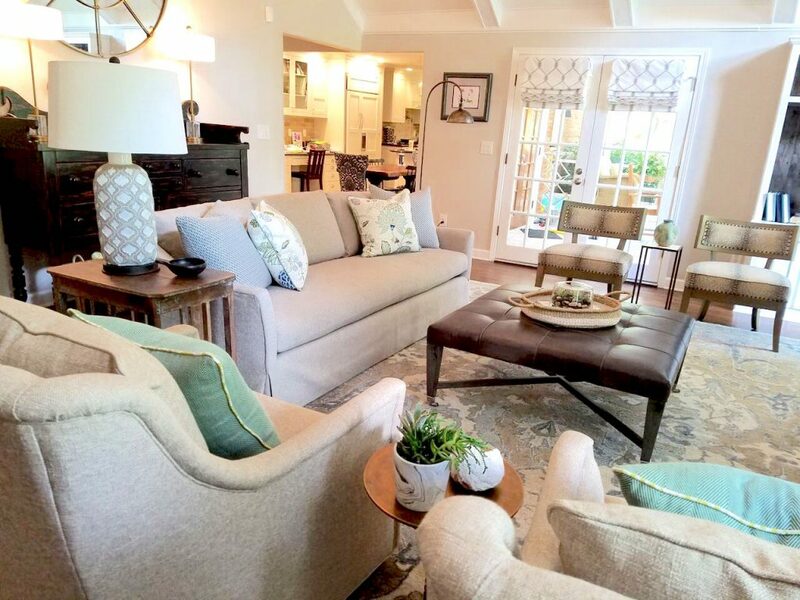 We love mixing pieces our client already owns along with new accessories. 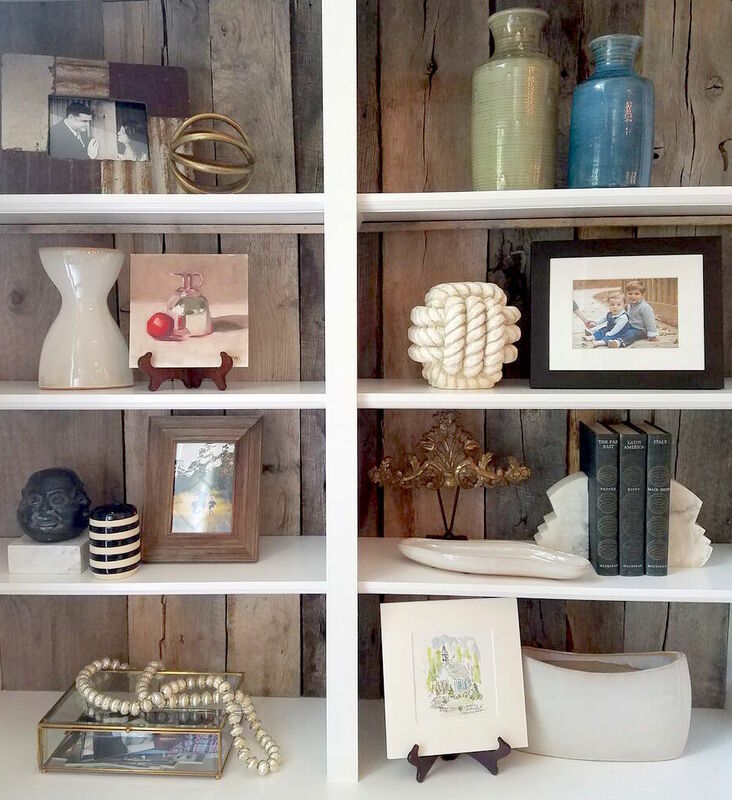 Walls and bookcases are the perfect place to do this. In order to give our client the “Big Reveal” we ask that they find something fun outside of the home to do that day. When they arrive at the end of the day they are blown away by the transformation. This is the most fulfilling part of my job! 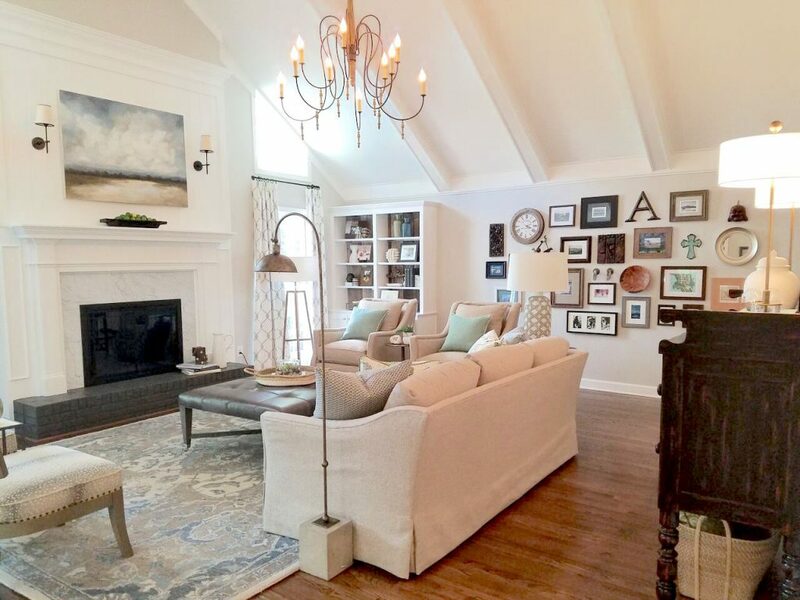 The right accessories really help pull a room together. From traditional to modern, your design style can be reflected in the accessories you choose. 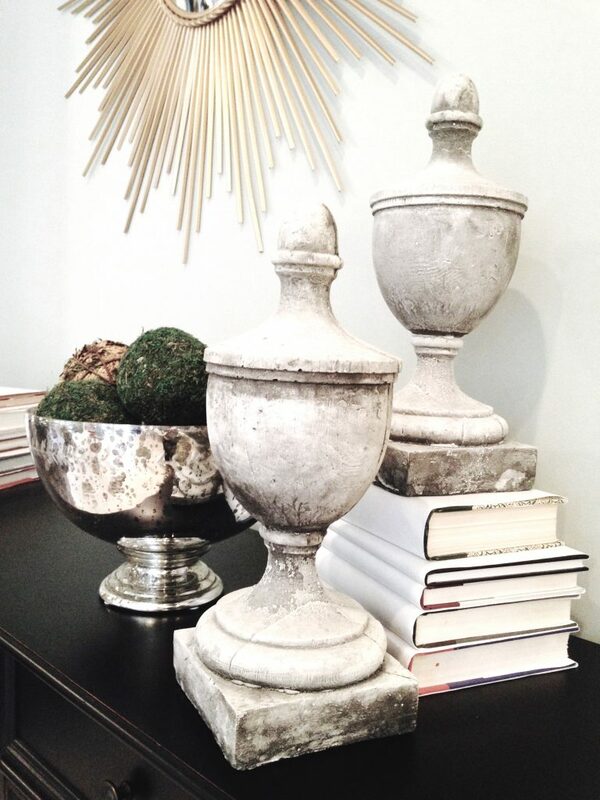 One of my favorite ways to brighten a space is with white accessories. From pillows to vases and everything in between, white is a favorite go-to of mine for bringing sophistication and crisp style to any room. This dark room with stone walls and deep wood finishes needed something to balance the heaviness of the deep tones and textures. 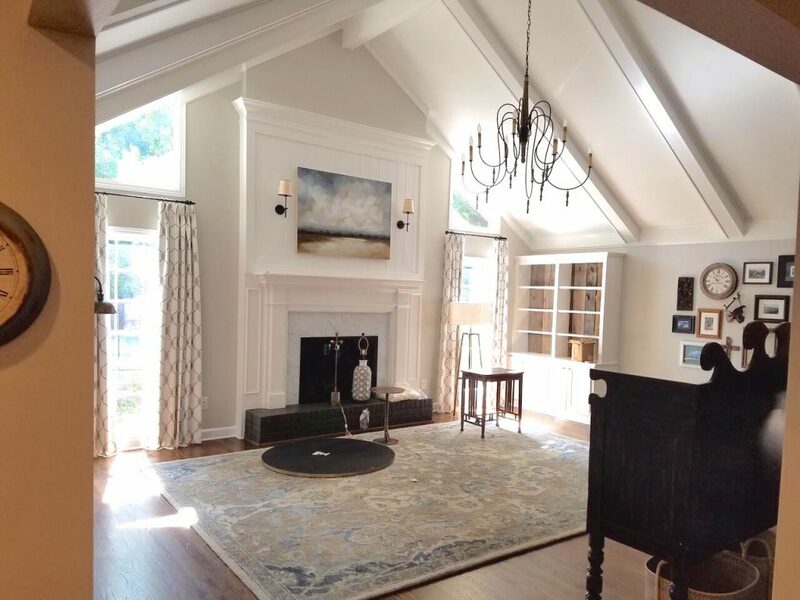 We teamed up with Sherry Hart Designs at the St. Philip’s Cathedral Show House in Atlanta to lighten this room up. Sherry also loves white accessories! 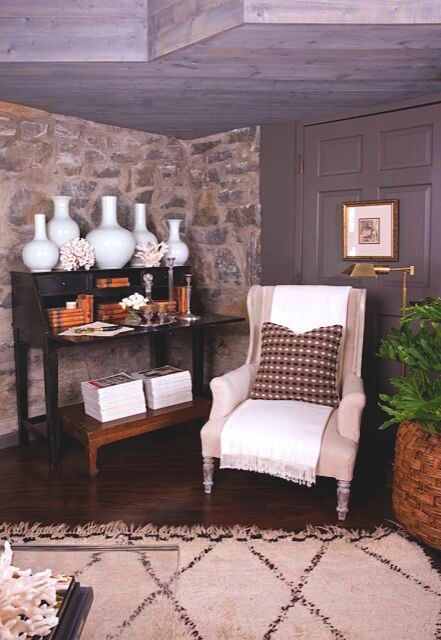 We chose a soft, comfy white chair and accessorized with a row of white vases on the desk to brighten up this dark, masculine room. We just love it! Here’s a great tip for adding white to your tables and bookcases…wrap your books in white kraft paper. It’s an easy way to instantly add height and balance to your other accessories without the book covers being a distraction. 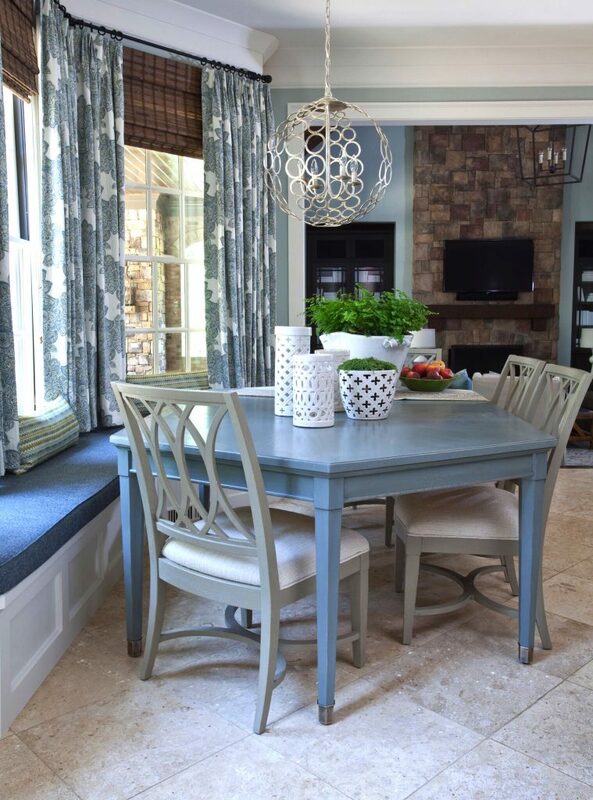 We love how this vignette turned out. Polished, crisp, and full of interest. 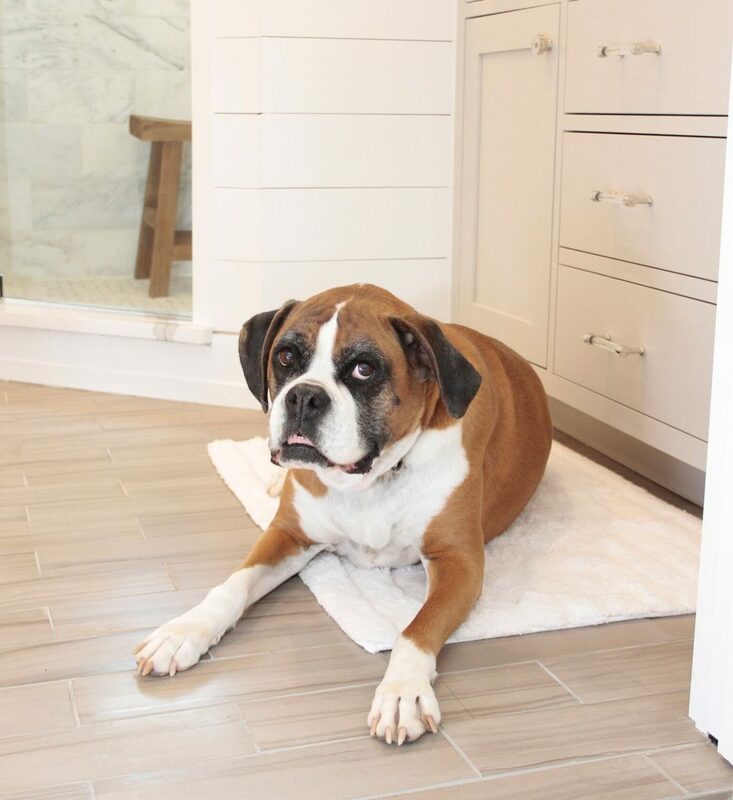 Accessorizing with white, especially when we’re talking about pillows, rugs, or other fabrics, can be a time of worrying about wear or dirt – especially when you have children or pets. I understand! Choosing fabrics that are washable is key. A pillowcase can unzip and be laundered, a bath mat can be thrown in the wash. Here’s a snapshot of my life, white rug, dog and all! 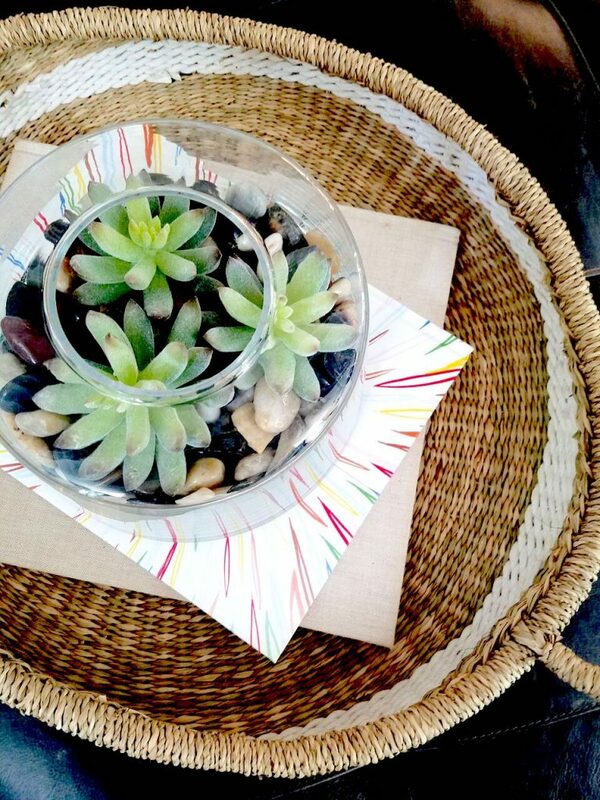 Add some pop to your table top with white vases and bowls. Functional and beautiful, what’s better than that? !